The evil race of TimeSplitters is traveling back into human history authoring events that are leading to the enslavement of humankind. To end this evil plot you must take control of a motley crew of renegade characters to seek and recover the crystals required to seal the rift in time. Hunt down the TimeSplitters across time in historical eras like the gangster-ridden 1920s, the lush jungles of Aztec temples, Soviet military installations of the Cold War and futuristic robot factories in space. The fate of humanity is in your hands. 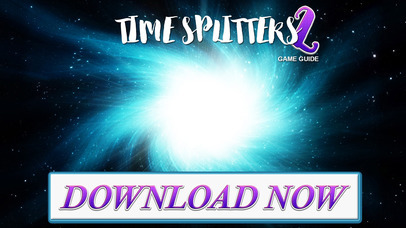 Download This Game Cheats Guide for the TimeSplitters 2 app now!